to discuss your planning needs! 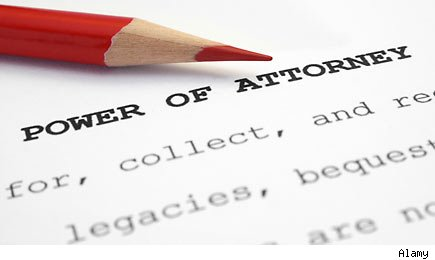 What if you already executed a power of attorney some years ago and now want to change that person? Is it as simple as revoking the old one and creating a new one? Make sure you’ve investigated whether your power of attorney is “durable” or “springing”. What’s the difference? A springing POA is a person who has not yet assumed his or her position yet, making it much easier to change your plans. If you named someone else as a backup and would prefer that person now be your POA instead, you can amend your existing power of attorney to reflect this change in plans. If the POA is actually a durable attorney, meaning that this individual was empowered to act on your behalf immediately after the document was executed, you may need to do a little more work. You should use certified and first class mail to notify the original individual that he or she has been removed as POA in case there is a dispute down the line about termination and institution of a new POA. If you believe that this person is out there exercising authority under your old Power of Attorney, you’ll need to take responsibility for contacting banks or other institutions where this is an issue. Make sure you have your estate planning attorney keep copies of all your documents on file in case there are any questions. To begin or change a power of attorney and any other estate planning documents, call us at 732-521-9455 today or request a meeting via email at info@lawesq.net.